So some people are already complaining about the City of Birmingham deciding to raise the minimum wage to $8.50 by July 2016 and $10.10 by July 2017. I mean, having the Birmingham City Council giving themselves a raise to $50,000 a year was crazy for a part-time job! But, I do agree with Birmingham doing something for people who are struggling to get by. As you know, many major cities across America are raising their minimum wages. Heck, many states across the country, including states in the south including Arkansas are raising their minimum wage. Here in Alabama, our lawmakers clowns will never consider anything to raise the minimum wage. Thank goodness for the federal government for setting a minimum wage of $7.25 per hour. Because if there was not a federal minimum wage, you know there would be some employers that would take advantage of this. And they would pay their employees so little that it could take up to three or four jobs to make a living. I mean, the human body just can not work 24/7, it needs some rest! You should never be forced to overwork yourself just to get by, not in America at least! 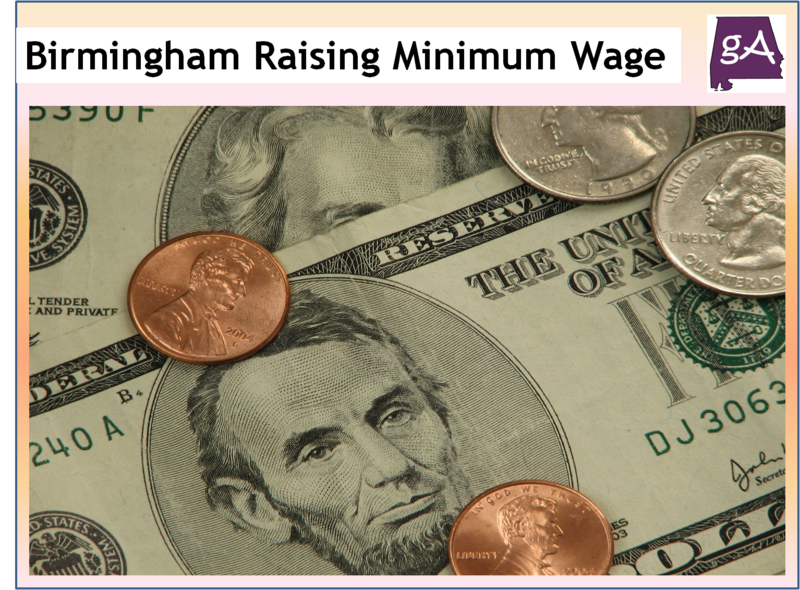 Now, some of those right-leaning websites like Yellowhammer News has talked about how bad this minimum wage increase would be bad for Birmingham. The major anti-minimum wage player in Alabama is Troy University. And from this article, they said a minimum wage increase would reduce employment opportunities for many of the low-skilled people it intends to help. Or we should be reforming education by allowing more charter schools and have more private educational options available. Umm, do you folks from Troy University know that Alabama has seen the second highest cuts to public education since 2008? And the clowns down in Montgomery wants to cut even more from education? You should know this Troy, because Alabama has cut funding to you as well! And that Yellowhammer article said the state should expand more economic freedoms, have a limited government, and low taxes. (let me just go to another room and laugh really hard) Alabama has not been for a better business environment and government system recently. Those circus performers down in the state house tent are wanting to cut taxes so much that it will actually harm business growth. Alabama already has the second lowest job creation rate in America. 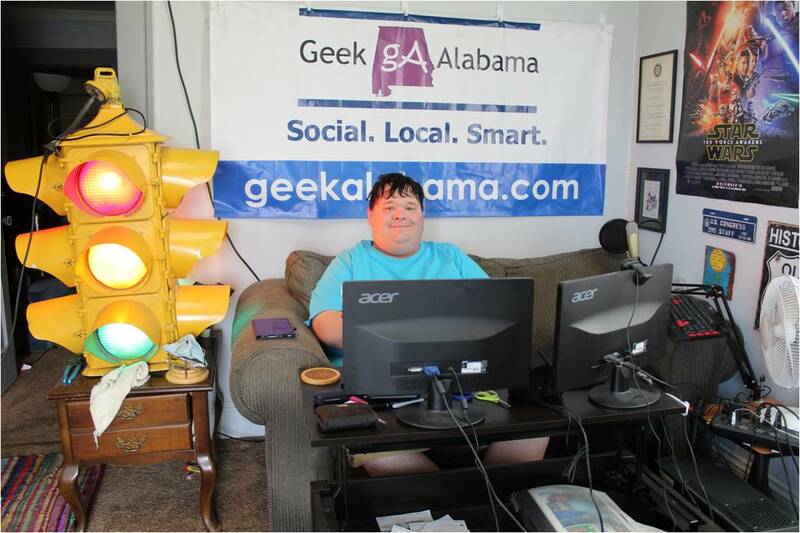 And you must have some aspects of government to grow businesses in Alabama. If a state like Minnesota can have a much fairer tax system, and have one of the best business environments at the same time. Maybe Alabama should be looking to do something different? You need the tax funding to not cut education so much that kids are having to sell cookie dough to raise funds. You need the tax funding so people don’t have to go thousands of dollars in debt just to gain a skill. You need tax funding to make sure the infrastructure is up to date. You need tax funding to make sure certain businesses like restaurants are inspected and safe for consumers. Do you get the picture, I do! Following the sweet tea tea party drinkers vision of America really means make it a third-world country. Cutting taxes to almost nothingness does not make a state better. See Alabama for an example! So let’s wrap all of this around back to the minimum wage debate. For starters, the minimum wage should have gone up years ago! Today, the minimum wage should be around $10 an hour adjusted for inflation. The minimum wage for servers of only $2.13 per hour should go up too. And you know that not all restaurants makes up the difference if servers don’t reach the $7.25 minimum wage. Thankfully more and more restaurants are banning tips and just paying everyone a fair wage! If Alabama would quit taking a machete to the education system, maybe low wage people in this state would have the opportunities to learn skills and earn more money. If other countries like Australia can have a much higher minimum wage for low skill workers, Alabama and the United States can too! You know when the wages are so low people have to rely on food stamps and welfare to get by. Maybe it’s time to raise the minimum wage so people don’t have to be on welfare, what a brilliant idea! Let’s just hope the right thing is done and the clowns in Montgomery does not try to block Birmingham from raising the minimum wage. Oklahoma has already done this with Oklahoma City. And let’s also hope there is a minimum wage, because without one America would be inviting back slavery.